When you arrive at the Strip District around 10 AM, it will be bustling with activity from vendors on the sidewalks. Locals typically buy groceries here but also catch breakfast or lunch. You can find some of the best cheeses, bread and desserts here. This rich cultural experience is a great way to get outside and acting like a local! A word of caution: if you are afraid of heights, this may not be for you! But those who brave the trip up will see one of the most beautiful views of the city. From this vantage point, you will spot the rivers converging to form the Ohio River. This view is gorgeous at both day and night! If you are looking for a true Pittsburgh landmark, this is it! Right where the rivers converge there is a great spot to take pictures and enjoy some time walking around. There are often festivals and events happening at this location as well. 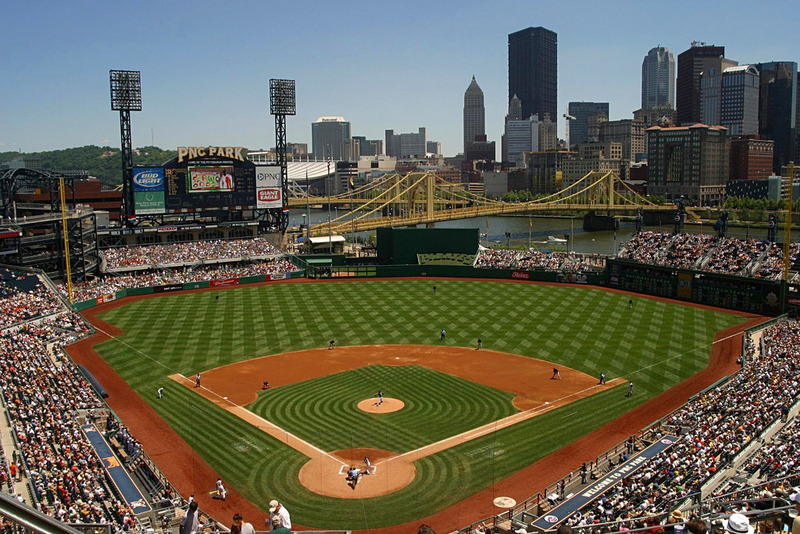 Both of the stadiums are picturesque in their own way and are placed directly in the city. If you have the chance to attend either of the stadiums for a game, you won’t be disappointed. Have you ever eaten a hoagie with coleslaw and french fries on it? If not, here’s your chance. This is one of the most iconic places to eat in Pittsburgh and once you have been here, you are nearly a local! There is so much more to do in Pittsburgh including museums, tours, shows and water activities. Also, be sure to check schedules for the city and see if you can attend a local event. If you haven’t visited Pittsburgh before or haven’t been back in a while, I highly recommend you take 2-3 days to explore all the great sites!